A few weeks ago I took advantage of living in a city that has a population to support the routine showing of documentary films. I went to see The Experimental City presented by the Film Society of Minneapolis St. Paul that featured a Q&A with director Chad Freidrichs and Todd Lefko, member of the Minnesota Experimental City Authority afterwards. 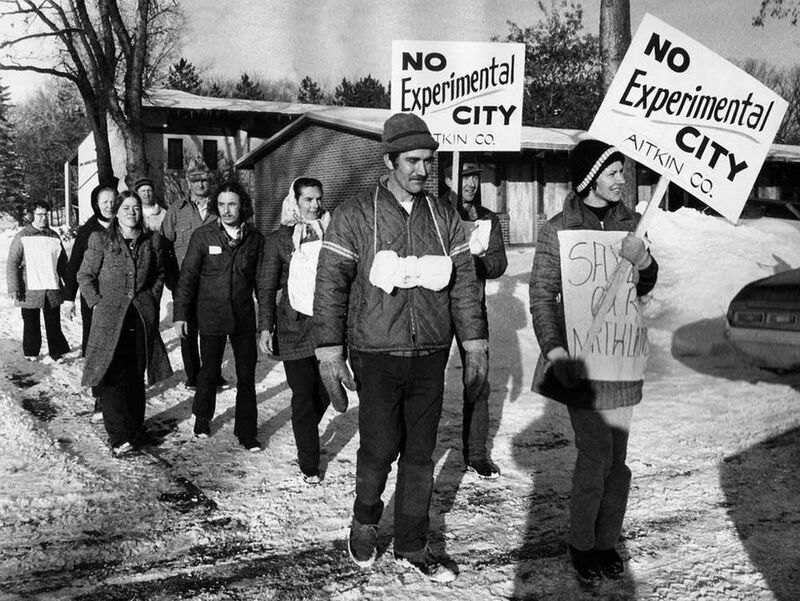 The documentary revived the story of the Minnesota Experimental City project from the 1970's, a project intended to solve issues of population growth with futuristic ideas. Planning schools teach Le Corusier's Radiant City and the Garden City movement started by Ebenezer Howard, but the Experimental City (MXC) by Athelstan Spilhaus from Minnesota is left out of the mix. The MXC project was not a small scale endeavor. It received several hundred thousand dollars of federal funding to create a subcommittee and fund the research. If it had made it to construction, the estimated costs were $10 billion for construction (about $65 billion today). It could be that this project was overlooked in the history books because it came at a time when big projects were normal. We were sending people into space and building a massive highway infrastructure project. What was so special about a brand new city designed in the most efficient manner possible for 250,000 people? The MXC project began in 1967 with an idea of Athelstan Spilhaus to create the most efficient city possible. He enlisted Star Tribune editor Otto Silha to help pitch the project and the two established a twelve person subcommittee to steer the process. The goal was to build a new city for about 250,000 people that was about an hour from a large city; near a large population but not close enough to be affected by it. After looking at numerous sites, the group settled on Aitkin County, Minnesota (northwest of the Twin Cities metro). The committee members thought the small rural and poor population would not mind a new city plopped down in their backyards. The residents of Swatara, the town affected by the the plan, did care. They walked over 150 miles from their homes to the state capitol in St. Paul during winter to show their disapproval of the project. It is unclear whether their show of outrage was successful or not, but the project did fall apart within a few years. They lost a key supporter in the white house when Minnesota native Hubert Humphrey lost the presidential election in 1968 after serving as the vice president from 1965 to 1969. Whatever the reason, the project lost funding in April 1973, one year prior to the anticipated start of construction. Their plans for a dense urban core surrounded by nature with some tall apartments on the perimeter was never built. Swatara stayed rural and the cities continued to sprawl outward at a devastating pace. As Todd Lefko stated in the Q&A afterwards though, many ideas did come to fruition that were part of the project including autonomous vehicles (their system was much cooler with the ability to drive the car but them hook into a track system that took over once in the city), online shopping, and working from home. While some people might say we dodged a bullet, I still think it would have been pretty neat to see a city develop from the very beginning as a sustainable, green, dense urban core. Cities like Minneapolis are fighting to reduce our carbon footprint and create more walkable urban neighborhoods. It is far more difficult to reverse development trends than it is to design that way from the beginning.